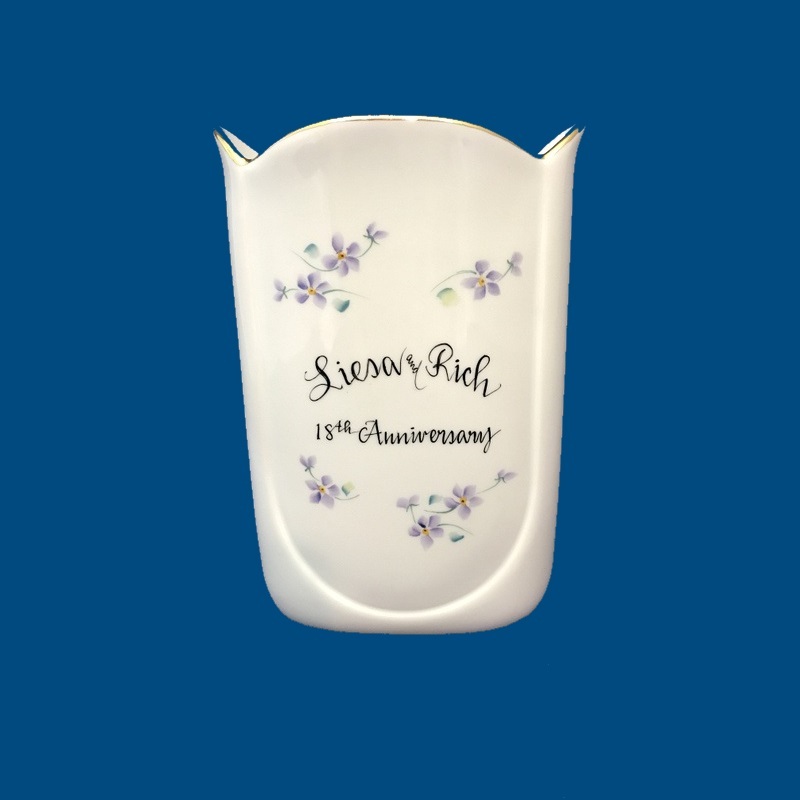 Our personalized porcelain vase is trimmed in 18 karat gold and is a beautiful wedding gift or special anniversary gift. Our vase can be decorated with your choice of design and hand painted with names or monogram initials along with the bride and groom's wedding day and date. A short personal message is hand painted on the bottom. A gift box with tulle ribbon and enclosure card is complimentary with your purchase.